Originally Submitted to FurAffinity.net on Feb 27th, 2013 09:01 PM. He probably reaching for his drinks. 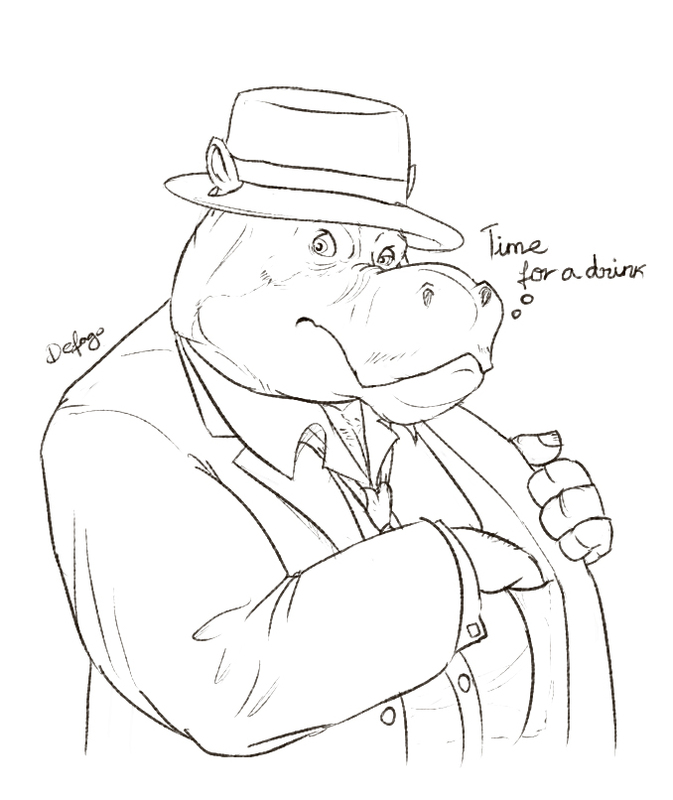 This is quite a challenge, I've never draw a hippo before. But it was very fun. And I seem to add a little bit more weight than he suppose to be. Sorry!